Have you been thinking about trying CBD oil for your dog, but you aren’t sure how to give it to him? Since it’s an oil instead of a tablet, chewable, or pill, it’s not like you can just wrap it in cheese and let your dog chow down. Luckily, giving your dog CBD oil is easier than you might expect. Here are the top 6 ways to administer CBD oil to a dog. 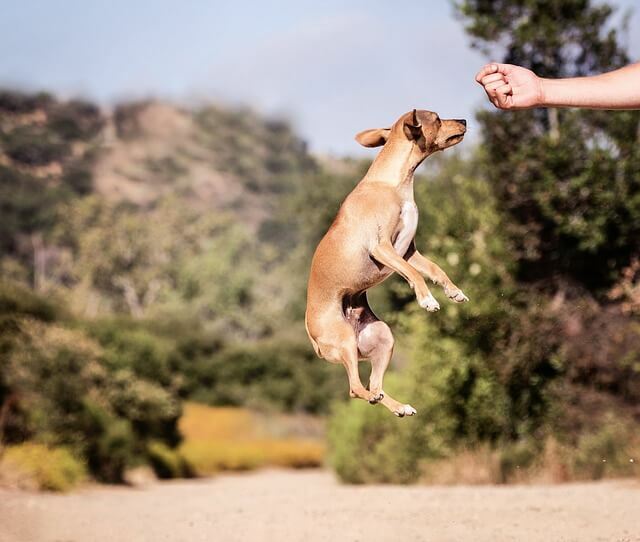 Most CBD oil is dosed based on the number of drops or droppers full of oil you need to give your dog based on his size and the intended purpose. 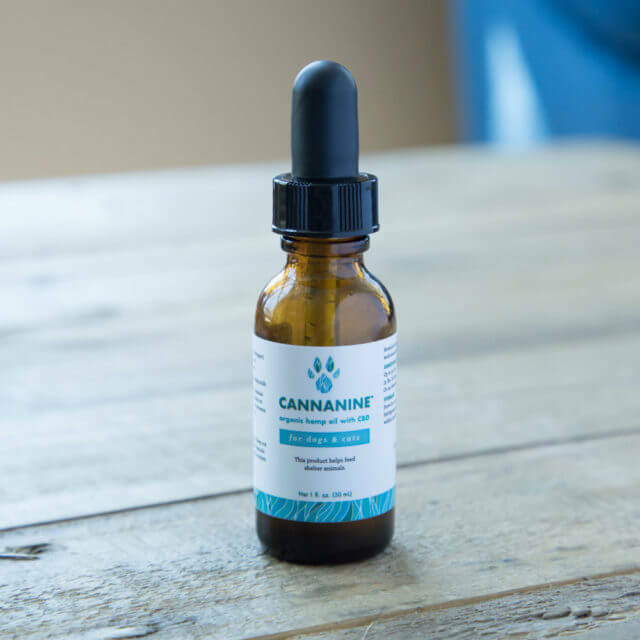 If your dog tolerates it, the simplest way to administer CBD oil to a dog is to draw up the appropriate amount of oil into the dropper (no need to shake the bottle first), insert the dropper in your dog’s mouth, as close to the back of their mouth as possible without gagging them, and then squeeze the dropper. Giving them their favorite treat immediately afterword ensures that they swallow it all – and don’t start to dread the sight of the bottle so much that they run away when you grab it. This works best with porous treats that can help absorb the oil (otherwise it will just slide off the treat before your dog can eat it). 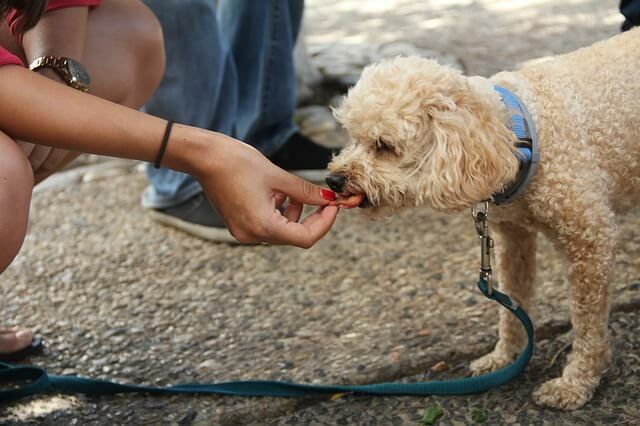 Just apply the correct amount of oil to the treat and give it a little time to soak in before giving it to your dog. This method works best for small dogs who only need a small dose. As you can imagine, trying to put an entire dropper full of oil on top of a treat can be messy and tricky, so it may not work as well for dogs who need larger doses. 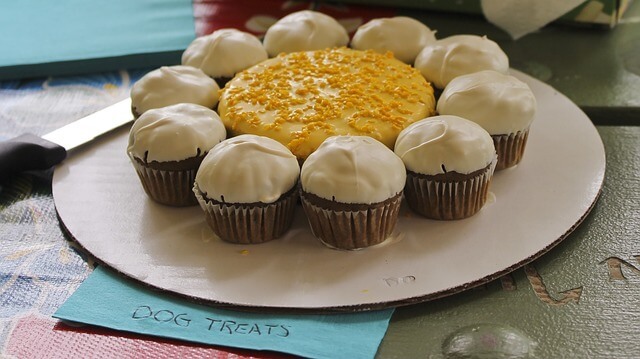 Since it can be difficult to add enough CBD oil to the top of a treat, it may be easier to mix it with something tasty like peanut butter (as long as it doesn’t contain xylitol, a sweetener that’s toxic for dogs). Just thoroughly mix the appropriate dose of CBD with the tasty substance and offer it to your dog exactly as you normally would, whether that’s from a spoon or inside a treat to keep them busy. This method works best with wet food, and you may need to start with a small dose and gradually increase it so your dog has time to get used to the taste. Just add the oil directly to their food, mix it in, and let it soak for a few minutes before feeding your dog as usual. Making your own dog treats can be rewarding, but adding CBD oil can be tricky. For starters, baking the treats can cause the CBD oil to evaporate, along with all of its benefits. Making no-bake treats or baking treats at a lower temperature for a longer length of time can work. One trick about using CBD oil is that it works best if you replace all or part of another oil in the recipe. You’ve heard that oil and water don’t mix? That can make for a messy recipe where the CBD oil isn’t thoroughly distributed, meaning each treat may have different amounts of CBD oil. If you’re feeling brave, this website has lots of dogs treats you can make at home incorporating CBD oil. Ready to try CBD oil for your dog? Since this product is only made from hemp rather than marijuana, it’s legal in all 50 states, and it doesn’t contain any THC (the ingredient in marijuana that makes you feel high). Made in the United States from hemp grown in Colorado, Cannanine™ Organic Full Spectrum CBD Oil features patented Nano-Sized Microemulsion for maximum bioavailability and absorbability (4x smaller particles compared to Liposomal emulsion). CBD oil can help reduce anxiety, inflammation, chronic pain, and nausea. This formulation is GMO-free and made from human-grade ingredients.